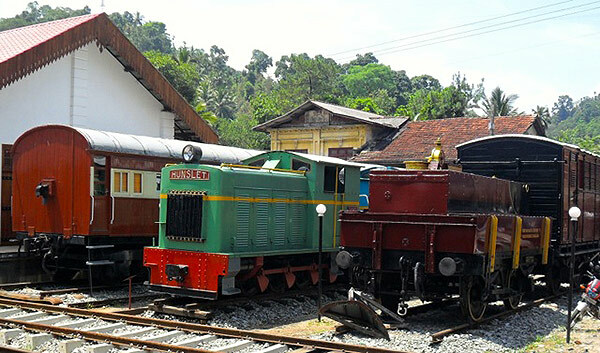 Passengers on trains heading from Colombo to the hill country are astonished to see smart, but ancient, classic locomotives alongside the platforms at Kadugannawa Station, 16km before Kandy. 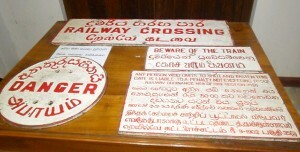 Hill country trains stop at that station but expresses to Kandy rumble through so passengers only get a glimpse of Kadagannawa’s link with trains of the past. 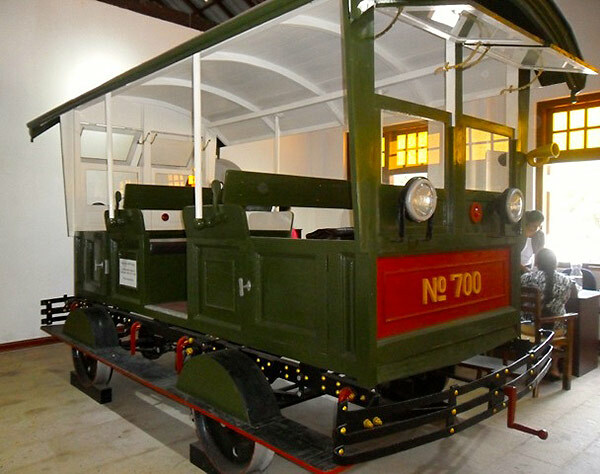 Although an original station building (built in 1867) exists at Peradeniya between Kadagannawa and Kandy, the Kadagannawa station was chosen as the site of the museum because it had a vacant granite-built railway warehouse beside the main Kandy Road. Thus access is easy for road travellers, as well as by rail. The sight of half-a-dozen locomotives and carriages positioned perpendicular to the road, results in drivers gaping in amazement. Many stop out of curiosity, and this interest is well rewarded. 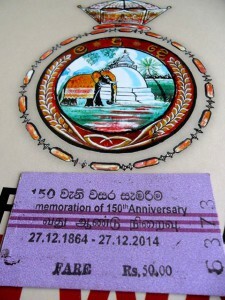 Visitors pay Rs500 (Rs50 for Sri Lankans) entrance fee and receive a replica railway ticket as a souvenir. The building is divided into several halls filled with ancient railway equipment, signs, and fascinating railway memorabilia like a station sun dial. There is even a huge model railway with electrically controlled trains buzzing in and out of hillside. Exhibits, like an ancient fire extinguisher on wheels, are kept well polished. Of special interest is the petrol-powered motor trolley (No.700) painstakingly restored at the Ratmalana Railway Workshops. In the yard outside, a restored Hunslett shunting engine stands between two old wooden carriages, one a wooden horsebox built in 1931 and withdrawn from service in 2012. Another diesel locomotive, No 500, built in 1934 is also on display while a luridly painted steam shunting locomotive, No. 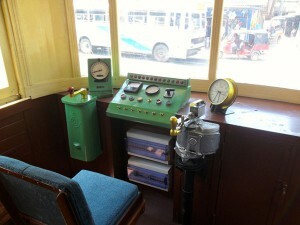 E1 93, one of those built between 1898-1928 is at the other side of the building. 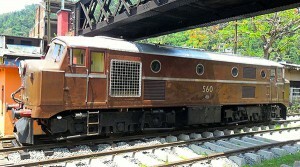 The colossal British-built diesel locomotive No 560, the first of the M series of diesel locomotives introduced in the 1950s, is parked in the shade of the foot bridge spanning the tracks. If you can find the tower’s caretaker (he often sits on the steps in front of the tower) ask him about climbing it. If he likes the look of you he’ll lend you a torch, open the heavy wooden door and leaves to your own devices. I was launched on a climb of 112 wooden steps, each less than two feet wide, supported by a tall central column and the tower’s wall. By the time I reached the top I was practically crawling. Going down was tougher as it meant clinging to the central pole and hobbling down one step at a time. I could still feel the pain in my leg muscles two days later. Just a couple of kilometres towards Kandy on the A1 Highway from Colombo, at Pilimatalawa, is another unusual museum, this one dedicated to highway construction. 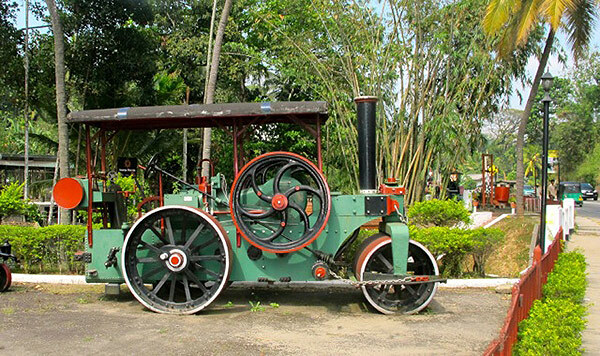 Opened in 1986 and maintained in superb condition, it features a gathering of vintage steamrollers in great nick, painted red and green. Steamrollers were probably introduced to Sri Lanka soon after mass production began in Britain in 1867. 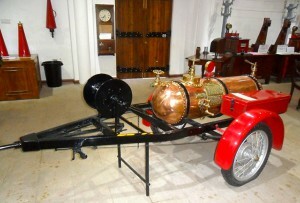 The majority of steamrollers were of the same basic three-roll configuration, gear-driven, with two large smooth wheels (rolls) at the back and a single wide roll at the front. A few metres from the steamrollers on display, down the road alongside the railway track, is a grand brick bridge, now closed to traffic, bearing the date1826. 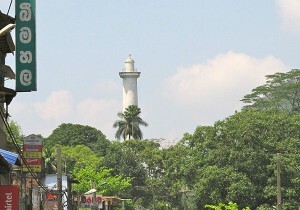 It’s part of the original Kandy road. 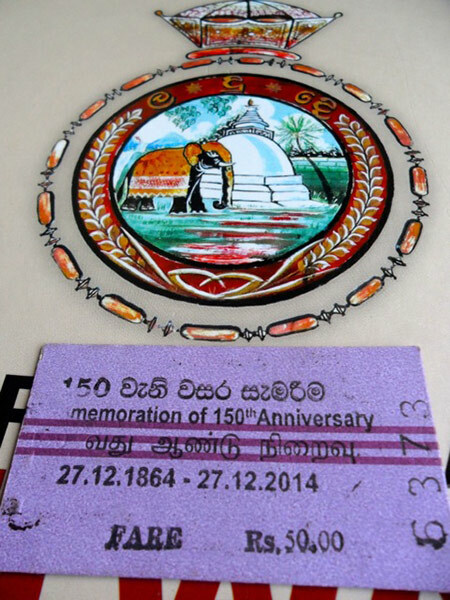 It’s possible to make a day trip to Kadugannawa in air-conditioned comfort (or 3rd class excitement) by train. Train number 1007 which leaves Colombo Fort station at 09.45hrs has two luxury carriages attached to it: the Rajadhani & Expo Rail cars, as well as 2nd & 3rd class coaches. This train stops at Kadagannawa at 12.07 giving plenty of time to tour the museums, climb the tower and explore the area, before catching the return luxury carriage from Kadagannawa at 18.17hrs, arriving Fort Station at 20.47hrs.